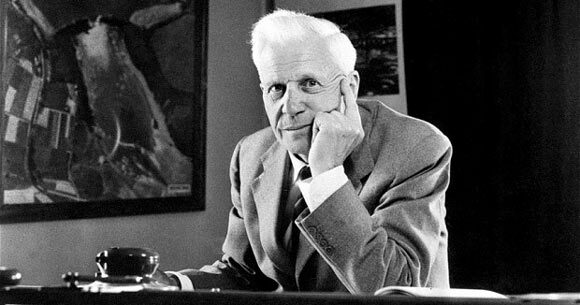 Sir Barnes Neville Wallis was a British engineer, best known for developing the “Bouncing Bomb” during World War II. Wallis was born on September 26, 1887 in Ripley, Derbyshire. His father was a doctor who moved his family to London when Wallis was two years old. He was educated at a public school named Christ’s Hospital in Horsham but left school at the age of 17 to work at an engineering company at Blackheath, London. In 1913, he joined Vickers to design airships, which was a relatively new field at the time. In 1922, he obtained a degree in engineering via an external program at the University of London. During World War I, the government decided to retract the aircraft development program and Wallis, finding himself at a loss for work, tried to enlist for the army. He failed the mandatory eye test the first time but appeared for it in a different section and passed the test by memorizing the chart before the actual test. Fortunately, the aircraft development program was reinstated and Barnes renewed his career as an aircraft engineer. He was an active designer during the 1920s and 1930s, and designed many prominent aircraft models such as the R100 spaceship. His major breakthrough, however, came during World War II when he developed what came to be known as the “Bouncing Bomb”. The idea came to him at the onset of the war that the only way to curtail the war quickly was to destroy the opponent’s industrial base, that was Ruhr in Germany. However, this was a heavily protected area and any air raids would be caught on radar and immediately dealt with by the Germans. Another problem was the inaccuracy of current technology; most bombs would fall at least a few miles off the intended target. Wallis’s solution was straight forward; use a team of expert pilots to fly so low that it wouldn’t show up on a radar and drop the bomb with considerably enhanced accuracy. For this purpose he developed a special kind of bomb that would be powerful enough to break the concrete structure of the dams. It would have to be dropped from a very low height and once dropped, it was specially programmed to defuse only after sinking to a certain depth within the water and not on immediate contact with the surface. The testing phase was conducted using a swimming pool and a scaled down bomb. The next tests were secretly conducted at the beaches of Kent, which were initially unsuccessful. After some setbacks, it was deemed viable and granted final approval. The bomb was codenamed “Upkeep” and the mission itself was called the “Dambusters Raid”. It took place on the night of 16th and 17th May 1943 and was conducted by a special squadron of the Royal Air Force. It caused massive damage to two dams and caused immense flooding in the area. Although industrial facilities were not as affected as anticipated by Wallis, and several of the bombers were lost, the mission was declared a success because of the panic it caused amongst the Germans and the confidence it brought to the Allied Forces. Some of his other prominent designs include the “Tallboy bomb” and the “Wellington bomber”. Barnes Wallis continued to innovate even after the end of the war, including a design for a mist proof glassless mirror. He led the aeronautical research and development department at the British Aircraft Corporation until 1971 and worked on deep penetration earth quake bombs, among other things. Wallis received many honors during his lifetime, including being elected as a fellow of the Royal Society in 1954 and achieving knighthood in 1968. He married Molly Bloxm in April 1925 and died in October 1979 at the age of 92. Other than the official funeral, a memorial service was held in his honor a year after his death at St. Paul’s Cathedral.